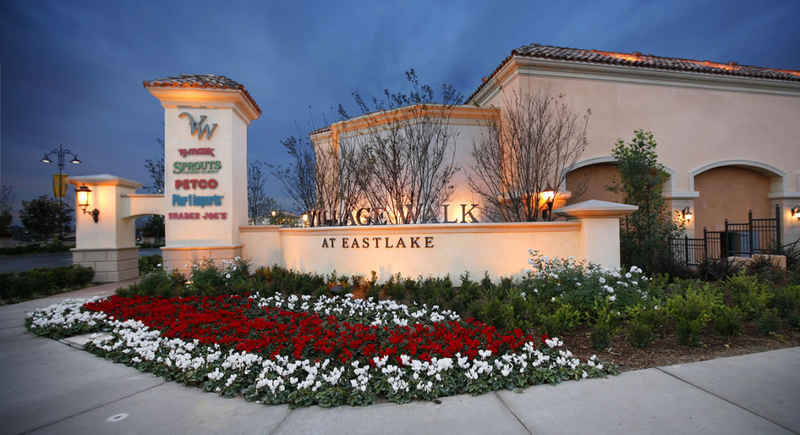 Once you’ve found Village Walk at EastLake, you’ll return again and again—for the delicious array of dining, great selection of specialty shops and a full complement of services to make everyday life so much easier. Be sure to visit Trader Joe’s, Sprouts Farmers Market, T.J. Maxx, Pier 1 Imports, Petco, Hooked on Crab, Pho Hiep & Grill Château, The Broken Yolk Café, and our many other stores, services and eateries. This enchanting shopping village, located in the EastLake area of Chula Vista, features inviting outdoor spaces where shoppers linger, relax and enjoy the unique lifestyle ambience. From winding walking paths to the grand clock tower, a pond filled with koi and turtles and a delightful kids’ sandbox area, Village Walk is a gem of a center unlike anything else in San Diego county. Check out our special events calendar and make plans to stop by soon—you’ll find any number of ways to make sharing time with family and friends special and memorable at Village Walk.